The owner and founder of our company is a Certified Entomologist listed with the Entomological Society of America (ESA). Having an entomologist in your corner means that an expert in pest management is all ways on the job when you choose us. We are also members of the National Pest Management Association (NPMA), Virginia Pest Management Association (VPMA), and the Northern Virginia Pest Management Association (NVPMA). 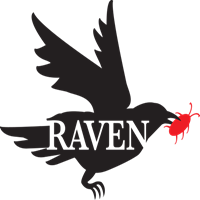 Raven Termite & Pest Control is a local family owned full service licensed and insured pest management company operating in Northern Virginia. With over 30 years of experience, our company is dedicated to providing timely pest solutions while using the safest material in the safest manner. Bringing together experience and innovative technologies we pride ourselves on providing cutting edge services to solve most any pest problem that should occur. I've been pleased with the experience I've had with this company from the moment I called for help! I was fortunate that Joe was able to come to my house the day I called and he was knowledgeable, respectful and super helpful. When he discovered the (mama) raccoon and her pups in the attic, he helped me come up with a plan for the best outcome for all with a plan B in the wings. THANK YOU RAVEN TERMITE AND PEST, YOU'RE THE BEST!!! Have received excellent service for years. Joe is great! He explains everything in detail and is happy to answer any concerns I have. I love supporting small businesses. I highly recommend Raven Termite and Pest Control.